The portable audio scene in Vietnam is growing and more importantly, it is growing organically with indigenous manufacturers putting out good quality IEMs onto the local and international markets. We touched upon one such company, Soranik earlier in the year with their excellent SK1 single balanced armature and I had the pleasure of meeting Hieu and his team at CanJam Singapore in March 2017. 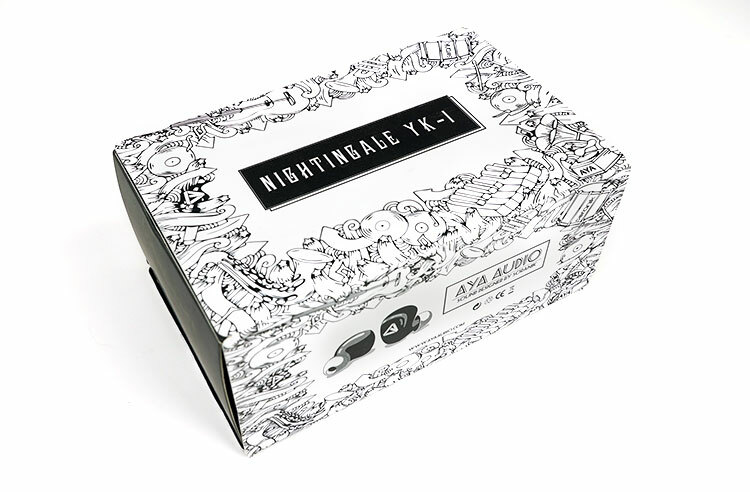 I also had the very good luck to listen to a new product they were collaborating with from another Vietnamese company, Aya Audio, and their single balanced armature IEM, the Nightingale YK1. After hearing it for 10 minutes I knew I was onto a winner, but after hearing the price, now set at $250 SRP internationally, I had to review it. The YK1 truly punches above its fiscal weight and could well be considered a bargain. Rare times indeed in this often high priced hobby of ours. Let’s tackle the elephant in the room head on shall we? 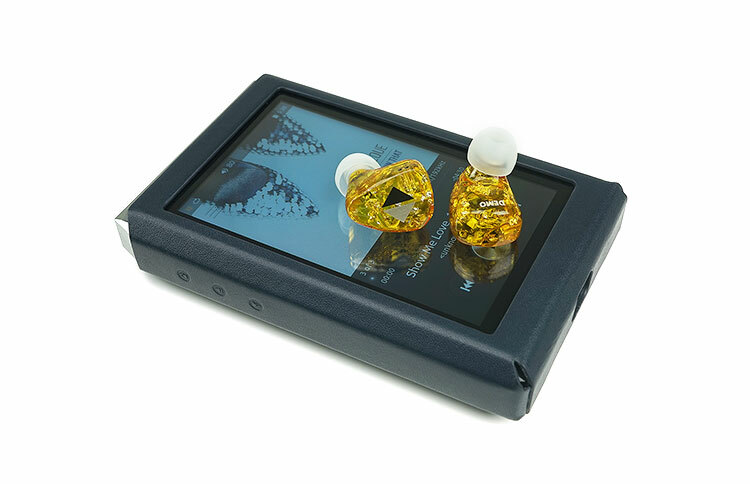 This is a budget IEM of sorts with a single BA design but being pitched to have a level of performance not too far short of the more expensive SK1 (now retails for $450). Aya Audio do indeed work closely with Soranik so this is not an openly competitive assault on Soranik which I personally find quite pleasing that companies can work together in this manner for mutual benefit. Initially, this was supposed to be for the domestic market and yes the price in Vietnam was even more competitive but on seeing a lot of international interest they decided to reach out to the likes of Music Sanctuary in Singapore and the Philippines and put something out there for all of us to try. The vision was to create a single universal IEM that hit all the right notes for vocal lovers whilst at the same time producing a well rounded, balanced and smooth sound. Not too far off how Soranik likes to tune their IEM’s so it is no surprise to seem the collaborating with Aya Audio on fine tuning the YK1 during the project period. 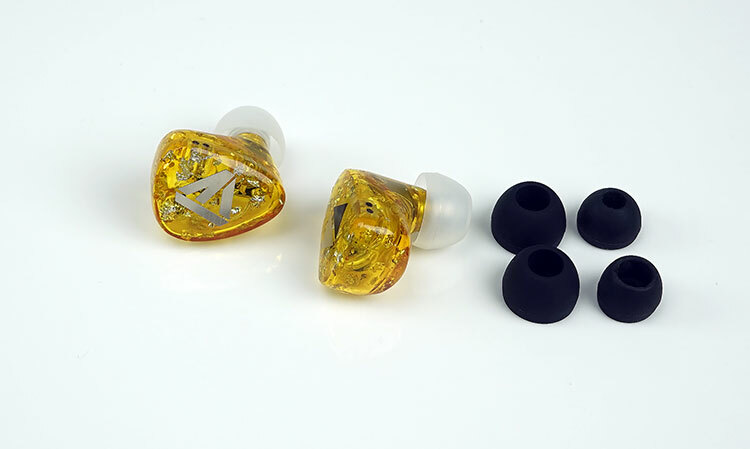 The YK1 is universal single balanced armature IEM built using customs standard acrylic materials and with a choice of two colors ranges in its stock form, black and terra. Terra is actually a line of 3 unique colors, Emerald, Tanzanite and Spinel which are basically colored gemstones and on a rudimentary coloring level stand for green, blue and red. You can elect for more color options though the pricing may vary and in this case, I asked for an amber/yellow with flake finish from the guys and they duly delivered a really eye-catching design that is sparkles with just about any gear you match it with aesthetically. Aya does not offer two piece designs currently so their range of options is focused more on a holistic design for the entire shell. 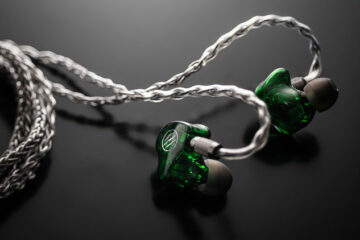 You will need to switch to Soranik if you want a more traditional custom in-ear monitor design as of now but their website does say a custom process will be coming soon. The YK1 is reasonably light but not uber light at 28g for a single BA design and the form factor should be classified as medium in size. Build quality is good, the lacquer finish is smooth. You will not find any messy joint finishes on the shell. There is a little bit of internal silicone filling and this particular shell is semi-transparent so you peek at the BA setup Aya have used for the YK1. Note the standard black and terra editions are not transparent shells. The Nozzle on the YK1 is relatively short and finished with a sturdy aluminum material. It does mean however tips will play a role in the performance of the YK1 not to mention getting a good seal. 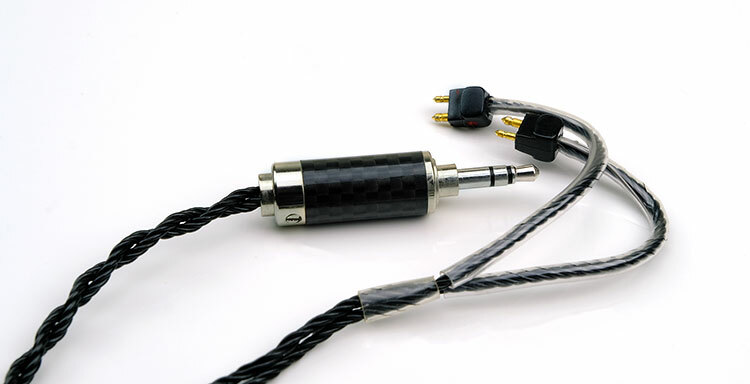 The YK1 is terminated with a 2-pin 0.78mm socket design at the top of the shell with cables insertions designed to be worn over the ear. Now interestingly in the local Vietnamese market, you could opt to buy the YK1 with or without a cable which is a first for me but internationally it will indeed come with a cable. 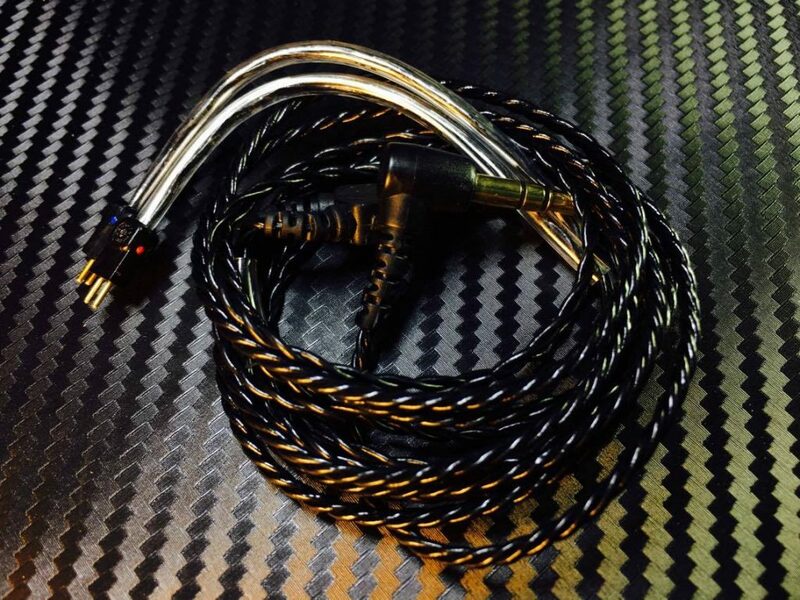 Though there may be regional variations the projected cable will likely be the same as the stock cable used with the Soranik SK1 with an optional upgrade to their superior 8 core cable for a few extra pennies. The included cable via Music Sanctuary in the Asian region will be a 2-pin SPC 4 core intertwined black cable design with a straight stereo 3.5mm jack, and a plastic tube y-split with similar plastic adjustable chin strap. The cable will also be finished with plastic memory wire hooks for guiding the cable over your ear securely. The teardrop design combined with the smooth edging makes the YK1 a very comfortable fit if not quite as flush as, say, Westone but certainly much smaller than the SK1. 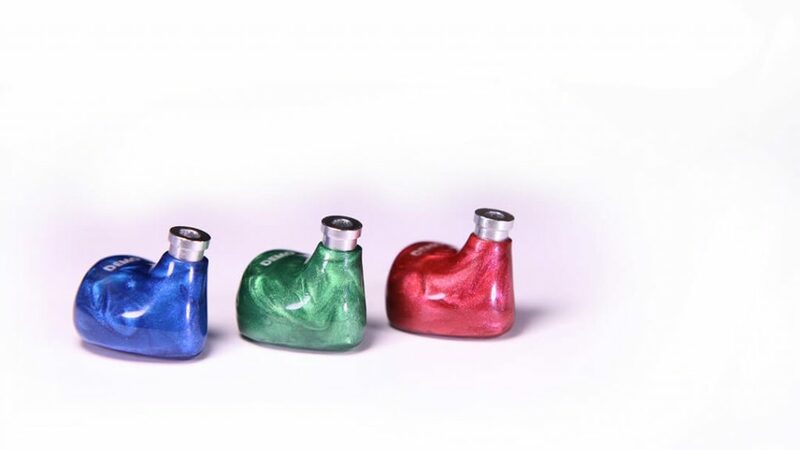 The 28g weight does offer a little bit of presence in your ear so it will not go unnoticed but neither does it hit any of my outer ear edges or apply any unwanted pressure outside of my ear canal. The balance of pressure is actually quite good and it never really feels loose in your ear. The short nozzle does mean that the tips will play a role in the quality of the seal you get with the YK1. 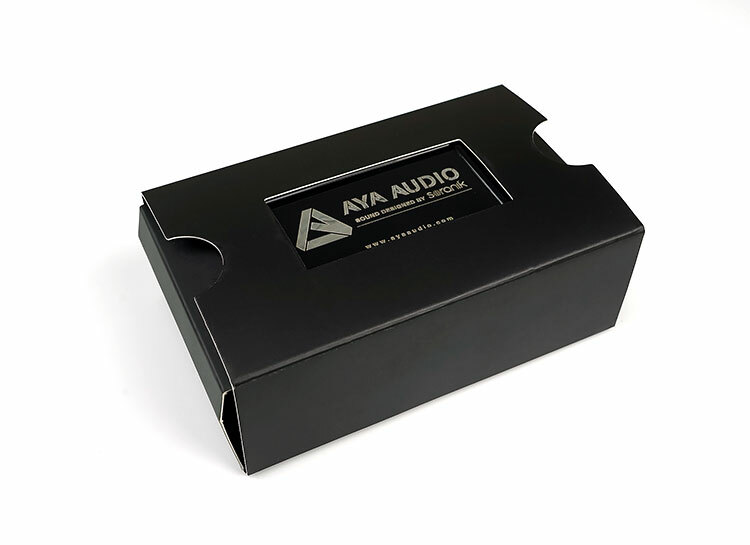 Aya Audio supply a fairly basic tip set with the YK1, a set of silicone single wide bore tips in small, medium and large. There are no foams supplied so the seal will not be quite as strong however the supplied silicone tips did pretty well and better than I expected. If you do decide to buy some Comply or other branded foam tips I believe a T-500 fitting will work. Given the price point the packaging and accessories are a bit threadbare rather than ostentatious and again there may be some regional variations given the domestic market made the cable an optional extra. With the SE Asian package, you will get that SPC 4 core 2-pin cable and a set of single wide bore silicone tips in small, medium and large size. Beyond that, you get a rather petite and pocketable hard case which leaves just enough room for the IEMs, cable, and tips. I actually quite like the packaging though in terms of design and compactness. The case itself, though not as durable or element proof as an Otterbox or Pelican, is tough enough to withstand a few knocks when out and about. The branding corporation between Soranik and Aya Audio is also clearly on display with both company’s logos printed on the top of the case. If you are familiar with Campfire Audio’s retail packaging then this is not too far off in terms of size and materials. If you heard and liked the SK1 from Soranik you are going to love the YK1 as it has a very similar tonal quality and presentation but with a few subtle but important tweaks. Both have a relatively n-shaped warm and intimate presentations with an emphasis on vocals. Both share a nice smooth and rich mid-range as well as a prominent and very likable female vocal performance. Both are entirely musical in their presentation though neither delivers the heaviest of low ends. The main difference, however, is the treble tuning on the YK1, it has more energy further up in its brilliance performance as well as a tiny bit more sparkle around the 5-7k marker than the SK1 delivered. As a result, the YK1 has a very slightly airier feel with more final octave presence and not quite as mids dominant as the SK1. It still has a relatively relaxed top end however and sits a bit behind the mids and vocals but this time I am getting a bit more contrast and articulation. Even with the better balance the presentation is more on the intimate side with vocals to the front, instrumental positioning just ever so slightly behind with a soft percussive attack and fuller sounding midbass. Sub-bass does start to roll off once you get down to 50Hz so it is not super extended and may not offer superior depth or power. The majority of the YK1 bass weight is focused on mid-bass warmth and fullness between 80Hz to 200Hz. The driver is not quite as powerful sounding as the SK1 but retains the same tonal balance on its low end. Bass roll-off is gradual starting around 80Hz and falling away a little more dramatically sub-50Hz with around a 5-6dB drop to 20Hz. Beyond 200Hz there is a slow but steady drop into the upper bass and on into the lower mids preventing the mid-bass from sounding muddy and keeping lower key instrumental clarity at a very good level. If you are after sub-bass power the YK1 will not give you that yet I would not term this signature as lean given the pleasing mid-bass fullness. It is still a fairly typical BA delivery, sounding relatively detailed, quick paced and tight but it adds just enough weight and body to carry that musical signature. Lower mids on the YK1 follow a similar steady dip to 1k as the SK1 so once again instrumental work will be slightly behind the 1-3k vocal presence and upper mids. The dip is also reasonably mild so whilst clarity is good for lower pitched instrumental notes it is not lean. Instead, it sounds smooth, with little in the way of bass bleed and incredibly easy to listen to. The YK1 retains that wonderfully creamy smooth and euphoric instrumental timbre of the SK1 which makes it a joy to listen to. The additional energy of the treble takes just a touch of mids emphasis away from the YK1 so it is not quite as mids-focused as the SK1 for my money. Vocal lovers will enjoy the forward nature of the YK1 vocal presence combined with the smooth but clear edge to its attack. It sounds natural and totally lacking in sibilance yet at the same time it is not veiled or overly rounded. It is not quite as rich and impactful as the SK1 which has a bit more power at 2-3k but it is a close thing. This is the biggest change up from the SK1 and in some ways, I actually think the YK1 might have a better treble response to the SK1 in terms of tonal balance. The YK1, much like the SK1 drops away from its 3k upper mids peak but instead of small plateau around 5k, there is a tiny uptick in the YK1 response which injects a bit more treble sparkle into percussion passages that I quite like and makes the presentation a touch more exciting. There is quite a substantial drop in energy from 6-9k so it doesn’t come across as overly forward or harsh and instead, produces a more energetic finish in the final octave than the SK1. Treble is a touch thinner, not quite as much body as the SK1 but it has more presence and bite as well as perceptibly more headroom and a generally airier sound. The YK1 is rated at 24 ohms and 102dB which is surprisingly inefficient for a single BA. Compared to the SK1, which is rated at 20 ohms and 107dB, it is not as sensitive and does require a little bit more voltage to volume match. Frequency response matching between the two does show that 5dB difference, particularly in the low end with only the YK1 new treble tuning showing a higher degree of sensitivity, which could be seen as a good thing. Comparing like for like on low-gain on the DX200 I consistently found I needed around 5-10 digital steps to volume match both the YK1 and SK1. It is not a huge difference, nothing as big as compared to the Campfire Audio or even the Noble range which gets loud at sub 70 on the DX200 and sub 60 on the FiiO X7/AM3. Using a Cayin N3 on their excellent low gain mode I was hitting 70 digital steps which I felt was a bit high. Medium gain seemed ideal (low gain on the i5) at around 50 steps with enough control up or down the volume scale from that setting. The big bonus is you will be nowhere near the same fussy noise levels as, say, the Jupiter or Andromeda. That means outputs such as the FiiO X7 AM3 single ended and the FiiO X5iii, which have higher noise floors with more sensitive IEMs sound very quiet with a good black background. Portable amping will pair just fine with the YK1 in low gain though you will not get substantial scaling. This is more about toning tweaks and subtle differences in resolution or detail. My own personal preferences are for smooth sounding or neutral portable amps with good dynamics such as the new HA-2SE from Oppo with its ES9028PRO flavor or the iBasso PB3 over their older D14. The HA-2SE has a slightly higher noise floor than either of the iBasso amps which were very quiet. On the other hand, the HA-2SE produced the more resolving sound and best mid-range clarity. The PB3 projected a very spacious mid-range also but pulled back a touch on the extension with the YK1 so I got a more mid-centric but very smooth and musical pairing. 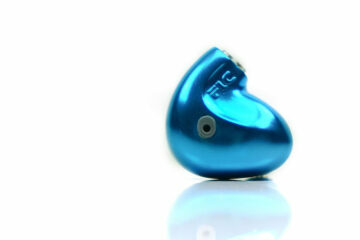 The highly respected but sadly discontinued EQ-7 is another single BA bullet design rated at 32 ohms and 117dB. Again, using the iBasso DX 200 as a point of reference, the EQ-7 was more efficient in terms of voltage control than the YK1 with a comfortable volume setting of around 80 steps compared to 90-95 steps with the Aya Audio creation. Tonally they are not worlds apart but you will notice right away the EQ-7 does have a bit more sub-bass presence compared to the midbass boosting and impact of the YK1. In turn, the YK1 is richer and more spacious sounding in the mids with a more forward vocal compared to the slightly more neutral and thinner-sounding mids of the EQ-7. Treble on the YK1 has a bit more sparkle also compared to the EQ-7, which is not quite as articulate or as extended sounding. The audiophile level dual-BA release from Brainwavz went down well here at the office and provides some good competition at just $199. The B200 is rated at 30Ω and 110dB so it is more efficient than the YK1 but not as efficient as the Noble Audio X and on par with the EQ-7. As an example, the Cayin N3 on low gain ran the B200 comfortably at 45-55 whereas the Yk1 is pushing a lot higher at 65-70 in low gain. Noise control though is slightly better on the YK1 and will pair better with noisier amps than the B200 as well as offer more voltage control for portable amp matching. Tonally the B200 is more neutral sounding than the musical presentation of the YK though still fairly mid-centric. Bass is a touch politer and not as full sounding though, it does have a slight mid-bass boost just not as elevated as the YK1. Mids are a bit cleaner but male vocals are a little bit further back also. Female vocals do get a bit of a lift with some good control though not quite as full blooded and smooth sounding as the YK1. Treble on both is smooth though the B200 has more lower treble energy and slightly less top end extension and energy. The Noble Audio X is a dual BA design at the same price point as the YK1 but only available via Massdrop so it is not always going to be around. Specs are not easy to find on Noble gear but what we did find out from our review last year was that the X is rated at 30 ohms with a frequency response of 15 Hz – 20 kHz and slightly lower efficiency than the 4-driver Savannah, our guess is around 110-115dB. The Noble X has a warmer thicker sound than the YK1 with a fuller low end but it doesn’t sound quite as tight, perhaps a little overly boosted. The X’s top end also sounds a bit more relaxed and rolled off than the YK1 so it doesn’t offer the same level of headroom or final octave articulation. The X’s tonal bias is more mid-bass to lower mid-range than the YK1’s mids to vocal bias and superior treble sparkle. You get a meatier low end on the X though and it does deliver a bit more power than the YK1 which tends to sound more relaxed and smoother in its presentation. Overall I would pick the Noble X more for rock or anything that needs a bit more low-end power and the YK 1 more for vocals and a little more treble articulation. I am delighted with the YK1 and its performance, to be honest, and consider it a relative bargain in terms of build quality and sound quality for its price point. I knew I was hearing something very interesting indeed at CanJam in March and my thoughts have not changed after this review. A single BA can never match dynamic variants in terms of low-end power or staging but what the guys at Soranik did with the SK1 you can feel their fingerprints all over the YK1 tuning because has that same wonderfully relaxing and engaging mid-range and vocal performance. I am also very glad to see Music Sanctuary picking up the distribution and sales option on the YK1. As I mentioned in the SK1 review, being an indie player from a remote location will always present logistical and pricing challenges to the international market. Using a brand such as MS should make it a heck of a lot easier to hear the YK1 and spend endless hours in coffee shops working out the best way to empty your wallet. I cant tell you if it is wise, thats down to your personal preference on what signature you like. I can only define and explain the sound. Hi Marcus! Thanks for the review! It came out at the right time – I was looking for a budget IEM to listen to some jazz/vocals at work. Do you have any info on their availability? Yup, they are out, they are available srp is $250 and start with Soranik who will carry the brand to the international dealers as well as Music Sanctuary in Singapore.